Hello and welcome to part 8 of the Rainbows after the Rain CAL, brought to you by Zooty Owl and Kokopelli Design! What an awesome journey it was so far and I hope you enjoy it as much as we do. 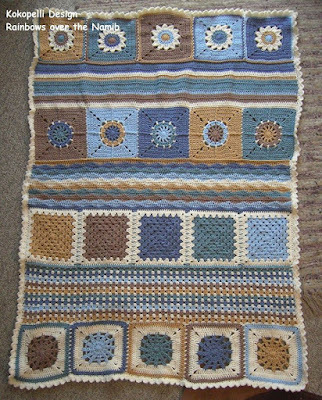 For part 8 of the Rainbows over the Namib Desert Blanket you will add the third stripe pattern in between the Wheels of Time Squares strip and the Sunny Flower Motif Squares strip. The stripe will be made of simply dc rows going back and forth. 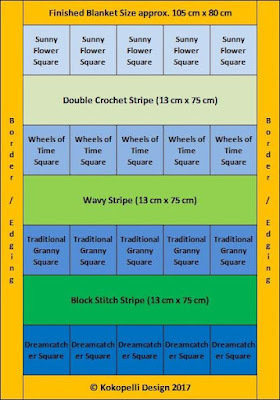 Please check the layout chart above for how to place your squares and stripes or make up your own layout to get a personalized blanket. 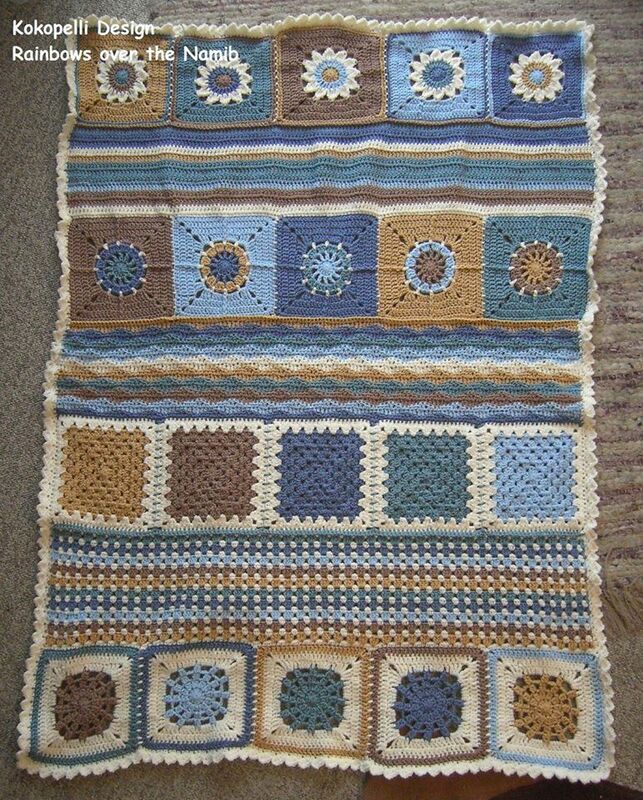 For part 8 you will need the joined Sunny Flower Motif Squares. This strip will be joined to the Wheels of Time Squares with a Double Crochet Strip. Row 1: Crochet a row of sc along the strip of Wheels of Time Squares or start at once with the dc rows. 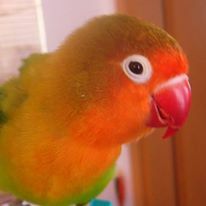 Don't forget to make one stitch in each corner and one stitch in the joins of the squares. Row 2: 3ch, turn your work. Dc in each stitch across. Make sure you don't miss the very last stitch, so the edges of your dc stripe stays straight. 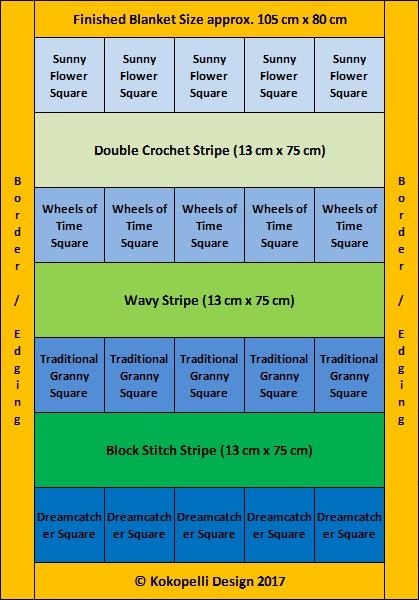 Continue adding dc rows to the stripe, until you reach the size you want (in my case I needed 13 cm). Then add the Sunny Flower Motif Strip with the join of your choice. I used again a sc join.